The international Deep Underground Neutrino Experiment collaboration, hosted by the U.S. Department of Energy’s Fermilab, continues to grow. During the collaboration meeting at Fermilab from May 14-18, the DUNE Institutional Board admitted two new institutions to the collaboration: the Laboratory of Instrumentation and Experimental Particle Physics, which is the first institution from Portugal to join DUNE, and the University of Bucharest, the second institution from Romania. The collaboration now comprises 1,061 scientists from 175 institutions in 32 countries. A substantial portion of the collaboration meeting was devoted to the upcoming operation of two DUNE prototype detectors at the European research center CERN, known as ProtoDUNE, with speakers presenting the updates on the construction happening this spring. In addition to hosting the construction of the prototype detectors, CERN also will provide the cryostat for the first DUNE detector module to be installed at the Sanford Underground Research Laboratory in South Dakota, housed by the Long-Baseline Neutrino Facility that will be constructed at Fermilab and Sanford Lab. 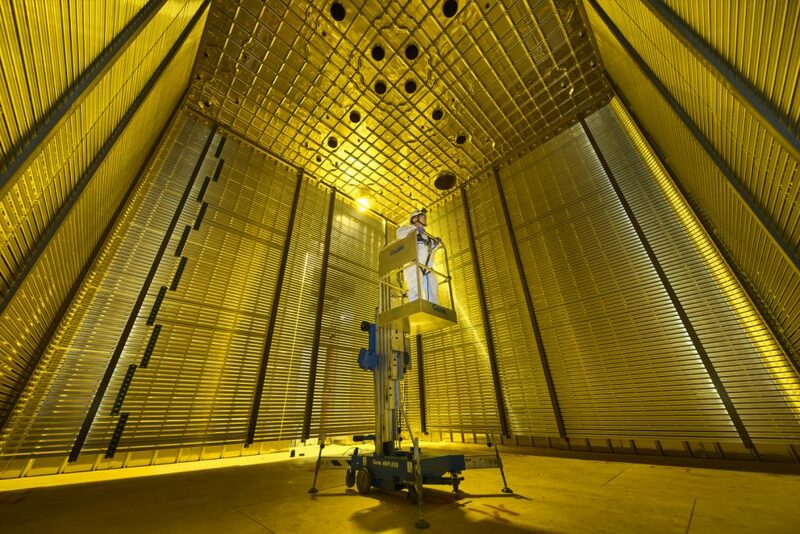 Filling of the first prototype detector at CERN with liquid argon, known as single-phase ProtoDUNE detector, is anticipated to begin in June. 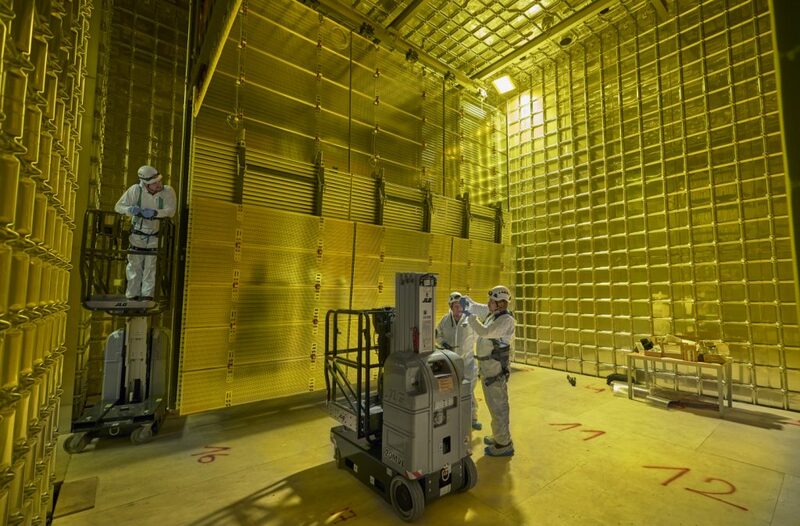 The first ProtoDUNE detector will start recording particle tracks later this year. The construction of the second prototype detector at CERN, known as the dual-phase ProtoDUNE detector, also is progressing well. Once it is operational, scientists will record cosmic-ray muons to test the detector. Another important topic at the collaboration meeting was the Interim Design Report for the construction of DUNE far detector modules in South Dakota. The document is based on the experience DUNE scientists and engineers gained during the design and construction of the prototype detectors at CERN. It is a step toward the publication of the more detailed Technical Design Report in 2019, which will serve as the blueprint for the construction of the first DUNE far detector modules. DUNE now comprises institutions from 32 countries: Armenia, Brazil, Bulgaria, Canada, Chile, China, Colombia, Czech Republic, Finland, France, Greece, India, Iran, Italy, Japan, Madagascar, Mexico, Netherlands, Paraguay, Peru, Poland, Portugal, Romania, Russia, South Korea, Spain, Sweden, Switzerland, Turkey, Ukraine, United Kingdom, and United States. More information is at dunescience.org. To learn more about the Deep Underground Neutrino Experiment, the Long-Baseline Neutrino Facility that will house the experiment, and the PIP-II particle accelerator project that will power the neutrino beam for the experiment, visit www.fnal.gov/pub/science/lbnf-dune/.